Recently I returned to a series of photographs taken in 2006 while living in downtown Los Angeles titled LA Sun Spots. Each image captures the fleeting sun light as it passed across the built environment of spotted towers, street ways and surface parking lots. 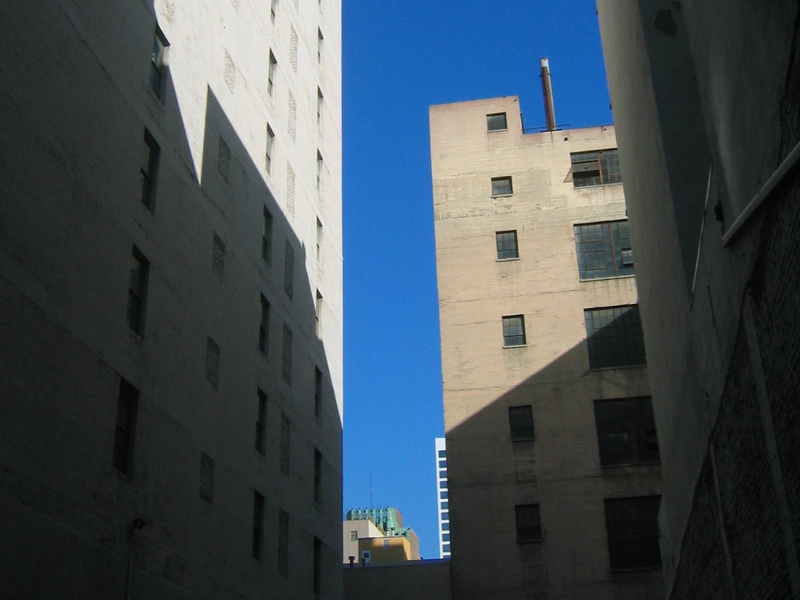 Fortunately the grid of downtown Los Angeles is rotated roughly 40 degrees off of North accommodating the contrast of sun-light against shadow-masks and recalling slivered landscapes of canyon configurations. Edges of these urban voids are activated as downtown buildings are placed in this celestial spot-light. A study of the urban void orientation, geometry and occurrence coupled my search for sun slivers. 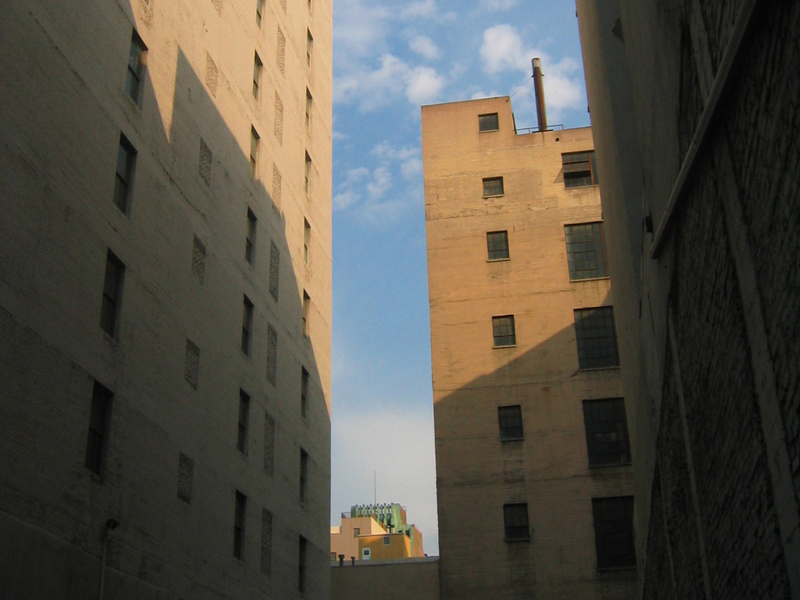 The metropolis void can be perceived as a three-dimesnional screen catching the shaped light modified by adjacent buildings. 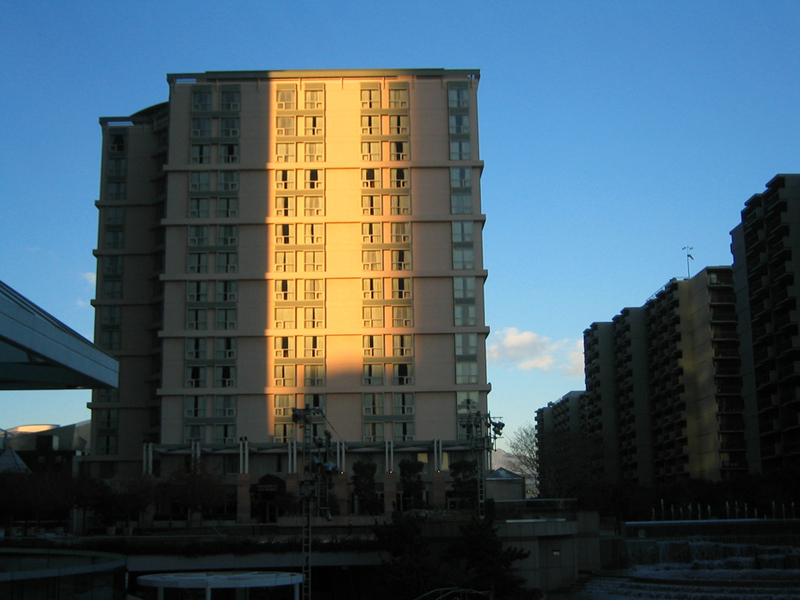 Not only does early morning and late afternoon light produced dramatically different results across the same urban void but the light quality at the same time varies depending on the atmosphere. 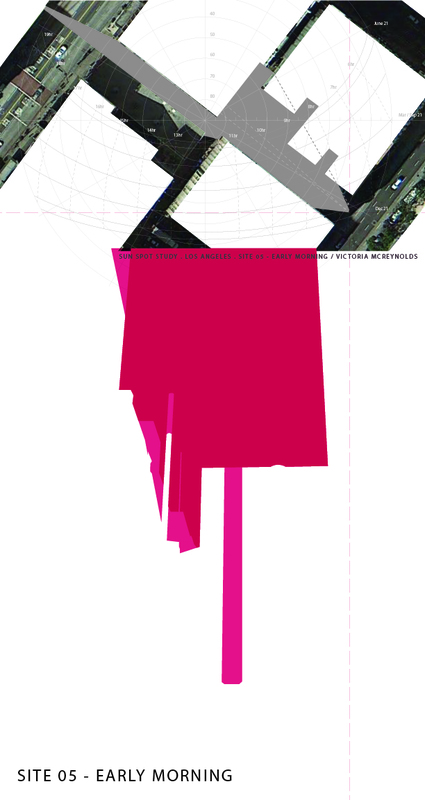 Solar activation of a metropolis core introduces changing predictability at a civic level and places at least one argument for the necessity of urban voids. This entry was posted in celestial, cinematic city, light by vmcreynolds. Bookmark the permalink.